Volume discounts available. Flexible pricing model. 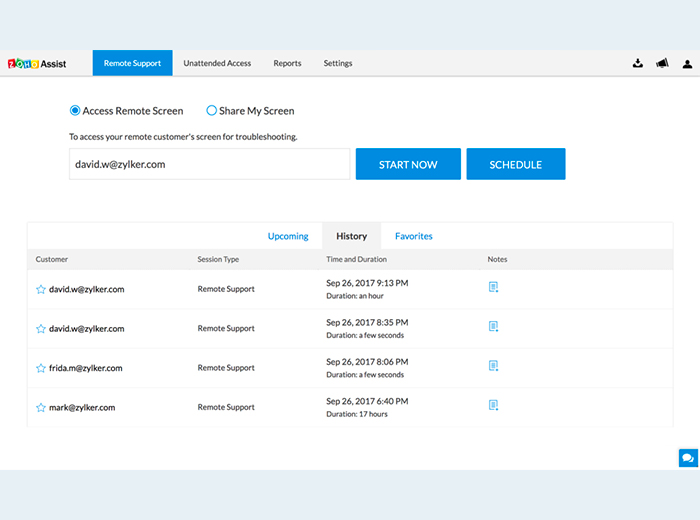 Zoho Assist, your one-stop solution for remote support, screen sharing and remote access helps you access remote desktop of your customers or share your screen and manage unattended computers easily. Get started today with one of the industry's most secure, reliable and affordable software. Requires no prior installation. Cross-platform support available. Works across devices. Supports all major web-proxies and firewalls. Zoho Assist Reviews Recently Reviewed! Pros: Years ago, I purchased the small business edition of Teamviewer when version 10 was released. But as any Teamviewer user knows, every time they come out with a new version, you deal with constant compatibility headaches. I found myself constantly uninstalling new versions and installing old versions so that my clients would remain compatible. Then one day a vendor had to connect to MY computer to offer remote support. He was using a newer version so I had to uninstall my old license just so I could temporarily install the newer version, so that he could connect. This back and forth is an unnecessary headache. Then Teamviewer switched to a subscription-only model with a pricing model that is out of my budget. While searching for an alternative I came across Zoho Assist. Zoho offers many products and they have a good reputation so I figured I would try it out. Within 7 days I made up my mind and purchased the full year. Zoho Assist is easy to set up, easy to use and has worked consistently for me. I had a small issue (more of a wish list request) during my trial. To my surprise, Zoho support replied back and within 2 days my issue was resolved. Now THAT is some great customer support! 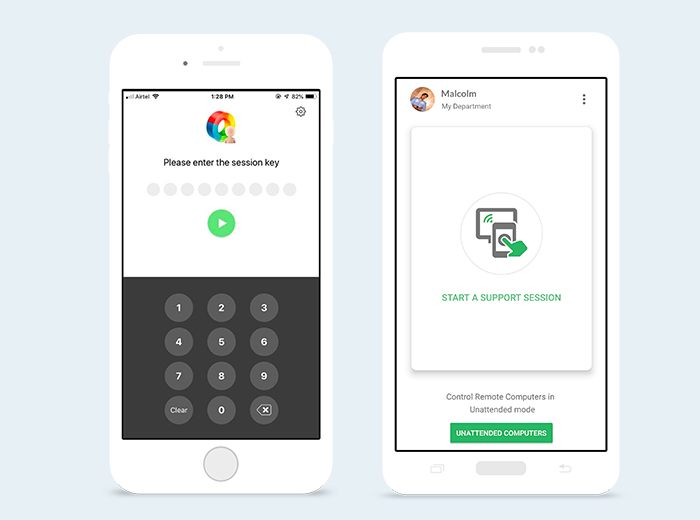 I'm hooked on Zoho Assist and would recommend it to anyone looking for a secure, affordable remote support solution. Overall: Pricing plan is perfect for me. Product works better than other remote support products I have used in the past, and Zoho has excellent customer service. Overall: Zoho Assist is a great way to provide remote technical support and one on one instruction/training with users. We've yet to find a Windows PC it doesn't work with and it doesn't seem to have any issues working through firewalls. Pros: I think Zoho hands down is doing everything right when it comes to providing software to assist customers of their to assist their customers. Zoho Assist provides that extra layer of support and reassurance that any issue will hopefully be resolved right at that moment. This allows customer to have and experience that feeling that they are being well taken care of. Cons: Only con is Zoho support team. I have had a few help me resolve some implementation issues and it took longer than it should have to be honest. I can say that I have seen an increase of time to resolution and that makes me feel like Zoho has also noticed this issue and is working to improve. Keep up the good work!! Comments: Based in a rural location, I have been providing technical support to my clients for over 10 years now. Having initially used pCAnywhere, I quickly switched to a SaaS solution from Citrix which worked tremendously well at a price and offered fantastic features. I begun to investigate alternatives some 3 years ago and came across the Zoho offering and registered as a Beta user on the understanding that the software may be problematic. It was fantastic and so when the Beta test finished I subscribed to their offering. Since then things have gone downhill from the deletion of all my unattended machines (with the embarrassment of asking clients to help me reinstall the software). I am currently experiencing a whole range of issues that affect about 50% of all my remote sessions; as a small business this is a disaster - I am unable to provide satisfactory service to my customers which is compromising my reputation. To be fair, they do fix issues when I complain, but it is often "we found some issue and moved you onto another server..." and then more issues crop-up. Recommendations to other buyers: Do not use to provide support on mission critical systems for clients. If it is only for family and friends you are likely to provide support to (or to IT savvy clients who do not require unattended support) then Zoho is fine. Otherwise I strongly advise you to look at alternatives which I am now doing. Pros: Price is great, features are excellent for - Windows, Mac, Android & ios. Constantly adding new features. Built in functionality with other zoho software is great if you use it. Seriously, a hidden gem in the remote support IT world. I use it for every Business IT customer I have and odd jobs for residential. The unattended support is just as good as any of the others and waaaaay cheaper! Cons: Really, I have no cons to list. I haven't run into a thing I can't do. Even things like, mass network deployment, multi moniters, Wake on LAN, etc... It does it all. Overall: For the price you cannot beat it. AND, it does absolutely everything I need it to do for my customers when remote support is needed. I usually make one house call to the business (if that) to install the client software and then I have a loyal customer from there on out... Plus, I can fix customer problems so much faster from the office, home, or even on the road... Highly recommended! Pros: PRICE! Price per machine is phenomenal based on the competition. granola price increases, based on features, not bundled into "I don't need all this extra stuff" one size fits all packages. plus it is the MOST reliable remote access and assistance software I have ever used! it ALWAYS works. Cons: Not much to dislike, honestly. It is solid, it works, and with chrome plugin support, it rules! Overall: since day one, Zoho assist has provided a reliable seamless service at a fraction of the cost of its competitors. I hope it stays this way! Comments: I love this business for anyone that manages people, IT departments also function better with this platform. Pros: Zoho Assist is free up to 5 users (ticket solvers) and unlimited ticket submitters. The user interface is robust, simple and elegant allowing users to track their tickets easily. The ability for zoho to use email aliases is a clear winning feature. 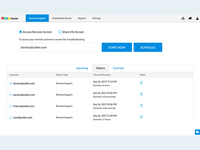 Users can respond to tickets in their regular email and it tracks the conversations and responses in the ticket log dashboard, which makes managing multiple users tickets a breeze. The price is good, the features and reporting are rich and the support is free. Cons: Support is foreign which makes communicating issues sometimes difficult. (However the platform is very stable rarely having issues). More than 5 users can get expensive fast. Comments: I have benefited from its use because I have noticed that I have obtained better communication with my employees, I have managed to establish a support area where we all learn how to solve the problems. Pros: The most pleasant thing about Zoho Assist would be speed. The truth was time without finding a program that would allow me to connect to a PC without any kind of slowness, it is a very fast program that focuses on bringing absolute comfort through the speed of video. Cons: I would complain about the prices, it is a software that has very innovative functions and I think it should be more accessible with respect to the prices offered to the customers in the plans. Pros: It allows you to take control of a distant computer and then make adjustments on your client SW, do a demo or an interactive training, for free. With this app I am able to make trainings with my clients or support, while they are watching what I do, and moreover, interacting, thus understanding better the lesson or the support I am giving them. Cons: As a user of the free version, I don't have any dislike of the app. I don't know if it suits well the needs of an IT manager who should need multi user assist, as I don't have those needs and never used the app in that case. Overall: I was looking for a way to make interactive trainings and customer service with my clients. Sharing your screen with the client and showing him the way to do things was not the solution because the client was passive. With Zoho Assist, I can show my client the way, and see if he understood by seeing him do the lesson I explained. Thanks to that the trainings are better understood by my clients. And when I use it for support, it allows me to see them acting and correct the errors they made. Pros: Zoho assist works like gotoassist, logmein rescue. You can email or over the phone give a client a session number, and once they enter it, you will be able to see and control their computer remotely. 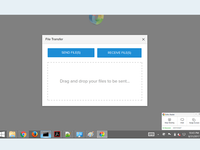 Zoho client is lightweight, quick download. It support scaling and file transfer. Overall: Cost effective as we have basic version included in our Zoho Desk. Zoho Assist as a stand-alone service also is very cost effective. Pros: I really like the speed of Zoho Assist, the other design and platform factors are not so important, I see that speed is what is gradually raising the rating of Zoho Assist and is managing to maintain a support adequate in each of the people who use it. Cons: The problem would be the application of Zoho Assist for mobile phones, tables and even on iOS devices, I would like it to be accessed with remote support with better quality, I see that the PC looks with a quality that really likes to connect to help remotely, but by mobile phone is the opposite. Cons: Not as easy as leading remote softare to provide remote access, there is a customer plug-in but is optional and I believe shall be installe by default it will save a lot of time. Pros: I have been using it for years and it is very easy to use both for me as a technician and easy to remote in though Google Chrome plugin. Cons: Seems to report as a false positive to Avast Antivirus and the only way to get it back up and running through download is to deactivate the antivirus which makes most end users uncomfortable in downloading the software. Pros: Great value for money to remotely assist and ad-hoc access to our in-house and BYOD computers. We're also now using unattended access which has been a great time-saver and works reliably even when changing users and rebooting. Includes easy connection options via web browser. Cons: Reboot and reconnect isn't always reliable when shared via link but reliability has improved recently (unattended access reboot work fine). Users with repeat sessions often re-download the local app rather than the app running automatically. Desktop technician app does not appear on desktop (e.g. alt-tab) and can't pin to taskbar. Overall: Convenient support option for staff and contractor IT support. Pros: Remote screen quality is very much clear than Teamviewer or AnyDesk. Plus there are several tools to take control of remote machines, like screen swiping, remote wake-up, command firing etc. Cons: Only sometimes, it takes a little bit more time to connect to unattended computers. Overall: Less downtime, less travelling expenditure for support engineers, prompt response. Comments: We never face the disconnection or non connection issue unless there is a issue with internet service provider. Pros: Help your customer with the inbuilt features like screen sharing, Instant chat, file transfer, it supports up to 2 GB file transfer. Secured and configurable as per your requirements. Cons: Reboot and reconnect option is really helpful because, at the time of trouble shooting, you may need to reboot the client system several times. ZOHO Assist will reconnect after reboot the clinet system. Pros: Having everything in one area when using this software has made doing sales a breeze. I am able to go in and e-mail, call, track, and task out what needs to happen with each of my clients. I rarely used software like this previously and training in less than a day I was able to know how to utilize this to the best of our companies ability. Cons: One thing that I am not fond of with the program is when the bounces happen for e-mails I have yet to learn how to track that. There are a few other quirks with the program as well while this is also growing pains from the company that I work with to learn how to utilize this software. Pros: Scalability, funcionalities stability. All key points as to why i choose Zoho. Before stumbling on Zoho about 2 years ago i have tried many other partners for MDM and remote assistance. Since finding Zoho i have converted most of my service to Zoho. Cons: Havent really found any that are wurth mentioning. The cons i have experienced are clearly due to industry and technological obsticals - Zoho are good at keeping the developement ongoing and are in my opinion in the front. Pros: I love that it supports Macs as well as Windows machines. It provides a lot of features for the money. I've only contacted support once, but they were responsive when I did. Also, the iOS app is pretty good. Cons: It is a little slow at times compared to other remote software I have used, but still very usable overall. Pros: The program is very user-friendly. There are tons of reports our company can run to track daily tasks, our goals, who is on our website, etc. Cons: Take a little while to learn ALL of the features that are available unless you know what you are looking for. Overall: Running reports, tracking daily tasks. Pros: I use this product to run my practice more efficiently. Able to use different emails and forward to main email for easier access. Cons: Once you get set up you never have to worry about messing with it and once set up it a pretty easy program to use. Pros: For me, the chat support in this program is very important. This allows me not only to have access to the client's computer, but also to explain my actions without using a third-party service, which is very convenient and saves a lot of time. The program supports management by using shortcuts that allow you to quickly access the required functions. Cons: Too weak free version, you need to expand the possibilities. Does not provide recording. Yes, and there is a paid version is not very cheap. If you try, you can find more convenient analogs. 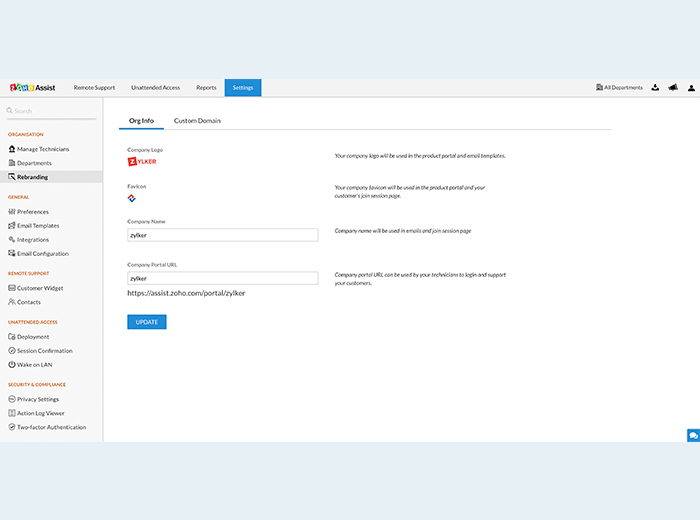 Pros: easy to use, easy to maintain clients as well as add new clients to the unattended section, easy to start/invite clients that need remote support. Android app is also very handy to use to access unattended computer that needs to be restarted. Cons: no option under unattended access to put notes regarding computer you are managing. it would be nice to have a spot under the menu where you can restart/rename..etc.. to have a notes option just like the remote support feature has. Overall: Easy option for remote support and unattended support of clients computers/servers. Pros: Very straightforward, we use this tool as a back up for external remote support. When all else fails a simple link to send get the end user back up and running. Cons: The reboot and reconnect feature doesn't always work. Overall: Having trialed Zoho Assist we found that in our group it's a worthy alternative to the other remote support tools. I would recommend it t small-medium based companies looking for a budget-friendly support tool. Pros: The program allows me to solve important issues while accompanying the product. This is a good way to get a loyal customer. I do not like it when an incompetent person has to explain something. It is much easier and faster to do everything yourself. And the customer is satisfied, and the nerves are intact. Cons: It's worth it, but it's worth it." Sometimes there are problems with the connection. The client is not always ready to wait until everything is working, customers need a solution to their problems "here and now". Pros: As a Web-trainer, I must express my deep gratitude to the developers of the program. Now customer support takes times less time and nerves. 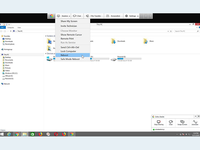 I can get remote access to the client's PC and take the necessary configuration steps myself. Often this is much easier than explaining on the fingers. Cons: There is a free version, but the functionality is limited, supports only English. I would like to have a mode of teamwork, as in analogues. And also the program does not provide for the possibility of recording sessions. Comments: It is a reliable and useful product. Pros: Cheaper than the leading brands of remote support products, it is a reliable and useful product. Multiplatform, you can give support to mobile devices (iOS, Android). One of my most used functions is the ability to see the client's screen, and with just one click client can see your screen. Cons: Sometimes clients get confused and download more than once the application, instead of automatically starting if you already have the downloaded application. Great software with amazing capabilities for the right price. Pros: Branding, Pricing, and functionality. When looking at other services that have the same scope they are either ridiculously priced or not that functional. Zoho is over the top and to have branding applied with this low of a price is the best. I also love the integration so that I can have the remote code easily entered within my own site which makes things easier for me and my clients. Pros: The software is easy to use, customize based on need, and allows ease of managing group projects. Cons: There's not much to dislike about the software. I use Zoho daily in my position. I use the data management, contacts, phone connections. Pros: How it keeps all data in one place, easily accessible. I like the ease of use an the movement between contacts. Cons: Email is required for all contacts. Sometimes the contacts connected with a client have unknown email addresses. I have had to make up email address occasionally just to add the contact. 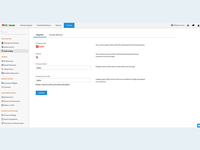 Pros: Zoho Assist ability to directly connect to our clients computers to support them with issues they may have with other software on the computer has been a great tool for us. It saves us from having to 'hit the road' to meet clients in order to solve some of their computer problems. Cons: Sometimes our clients get a bit confused when downloading the plugin that allows us to connect to their computer. We have to give them a bit of phone guidance to help them work through it. The system is great, I can see the reports that I need, also I can create my own templates. Pros: What I like the most about Zoho is the easy access I have to create tickets and how to find the information too. Cons: Sometimes when I create a ticket, I can't put the email information because another agent already created it. and when I am typing the information it changes to the last information that put the other agent. Overall: I can type all the information that I need, it is easy to use, all the information posted by me can be used to making some reports. The information is always organized. Pros: We used it for maintenance tracking. Really liked how user friendly and the built in communication capability. Cons: The reporting function was more complex but it had all the features and functions you would need to get information in one place. 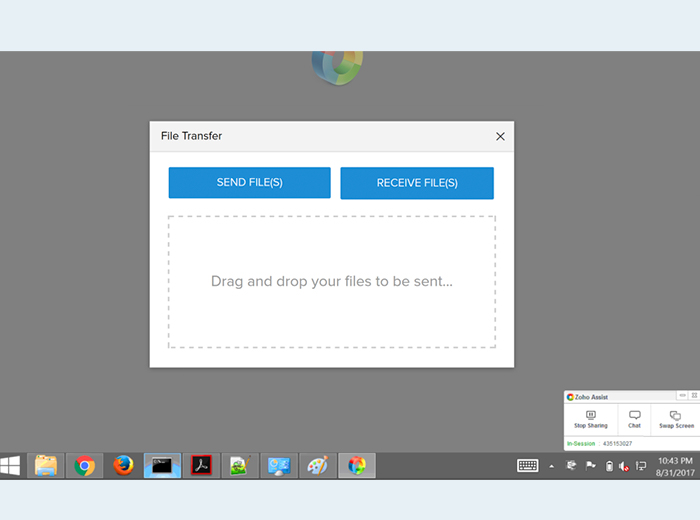 Pros: Zoho is inexpensive, and does it exactly what we need it to, allowing us to remote in unattended workstations. The customer service has always been quick to respond to my questions and fix any issues that come up. Cons: It can be slow at times and the Mac desktop app has some stability issues. 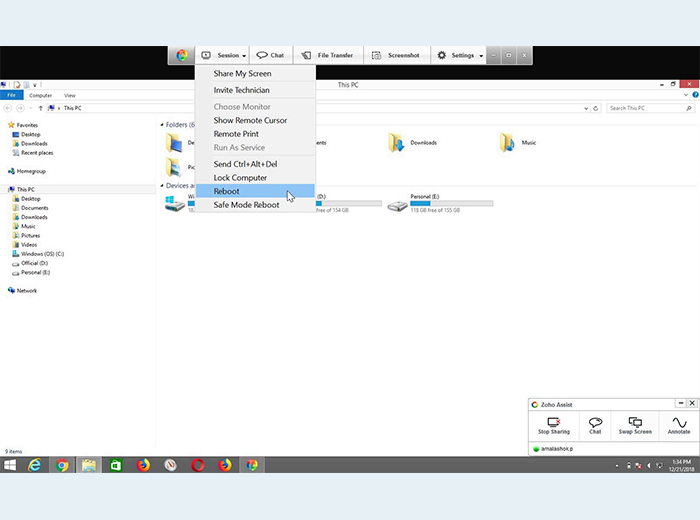 Overall: Before Zoho, we didn't have a reliable way to connect to our workstations and now I am able to remotely take care of workstations from my remote office without having to visit. Software is good for Remote training and troubleshooting, easy and quick. Pros: Software Supports large number of operating systems and multi monitor support. It's easy to use and have advanced reports. Cons: Have less freelance capabilities. It's difficult to setup. Cost gets increased for more storage of data. Overall: Software is good remote control tool gives wide range of features like advanced reporting, multi monitoring and track task easly. Overall: Overall a decent product, couldn't ask for more, free version full-fills our needs currently. We would recommend to all IT Gurus out there!! Simple and easy to use. Integrated to the Zoho ecosystem. Comments: I like Zoho assist as my first option for remote assist. Pros: Best Support in case of any problem. Smooth connectivity of remote without any connection break Session handling. Secure and safe . Fastest file Transfer. Remote power options make easy to power on . Best price . Cons: User interface is not so friendly . Sometimes screen freezes and ends up with restart. Professional Plan is little expensive . Pros: What I liked about Zoho Assist was that it was easy to use and setup and our users didn't seem to mind either. The user side was easy to understand. The connection to the remote computer seemed pretty solid. Rarely did it drop for no reason. Cons: Didn't seem to have the features other software had at about the same price level. Pros: Value for Money. Unattended access works fine. Is reasonably fast. No major problems faced sofar in trial of 10 days. Cons: 1. Download to view ZOHO Assist on remote Client does not always succeed. Pre-configured customer app. Easiest way to assign a customer machine to my support team. Wake-on-LAN is great when the customer is not able to reach a computer which is shut down. Pros: For a low price we integrated the code on our website that allow us to help our customers remotely fast and easy. Cons: Integrated app is not able to be customized, not even from Zoho assist directly. Great if this would not required a software to be downloaded on customer's PC everytime remote assistance is needed. Pros: 1. Free up to 5 users solvers and unlimited ticket requesters. 2. Clean and Simple user interface. No clutter. 3. Ability to track tickets, conversation and responses. 4. One can efficiently manage multiple users. 5. Speedy connection and no lag issues. 6. It fits well in Zoho CRM suite of applications. Cons: 1. Limited functionality for Mobile devices like Android and IOS. 2. Still in the developmental phase. 3. Not many people know about Zoho Assist. Overall: I believe Zoho Assist is very cost friendly by giving free for five users. This software can help entrepreneurs who want to have a startup. Overall, I highly recommend it. It is a convenient support option for IT support teams. Very happy with Zoho Assist. This has accelerated and enhaced our customer support. Pros: Ease of use, fluidity and nice interface. At customers side, the plugin is so easy to download and install. Cons: I would be happy if the price could goes a little be down as we are already using other ZOHO product. Pros: I use it regularly. We can access our desktop from anywhere and it works really well in all the iOS devices. I am using it in iphone 7 plus and so far it's doing good. Cons: I didn't find its user interface easy. Initially i got trapped in some functions except that it's a good software. This is one of the best free remote assistant software out there. Pros: Very easy to use and very stable platform. This has helped us on many occasions when our users encountered issues. Cons: Personally have not seen anything I do not like about this software. We use this software on a daily basis. Overall: Remote access to end users that are not well versed in solving their issues. Zoho Assist has been a very efficient, cost effective remote support solution for my company. Pros: All the features are easy to use and has everything that more expensive remote solutions provide for a fraction of the cost. You can also pay monthly and adjust the plan you are on at any time which is much better than some others that only allow for a yearly commitment. Cons: It would be nice to have a desktop application that is on all computers that you can have the user open and then remote too. Other than the unattended access option. Kind of like the active X console but with the full features you get with Http. Overall: A great cost effective remote support solution that is easy to use and has all the functions that other more expensive solutions have. Pros: I like that it feels like GoToAssist. Being a GoToAssist customer for 7 years, I was skeptical at first. It has all the features of other big name software, but the cost made me try it and I don't think I will ever go back. I needed software on a PC, tablet, and Smartphone and I have access to it all from each device! One of the hardest things about GTA was multiple monitor support. This one does multiple monitor support a little differently. Cons: I don't have anything at the moment. The biggest change for me was multiple monitor support and physically clicking 2 buttons rather than one. Pros: Easy access, no so many steps needed to install the software. All you need to do is enter your customer's email and send him the link. Cons: It would be great if no additional software needs to be installed. Some customers do not like to install additional programs to their computers.